This is a classic and versatile piece that will compliment every outfit! 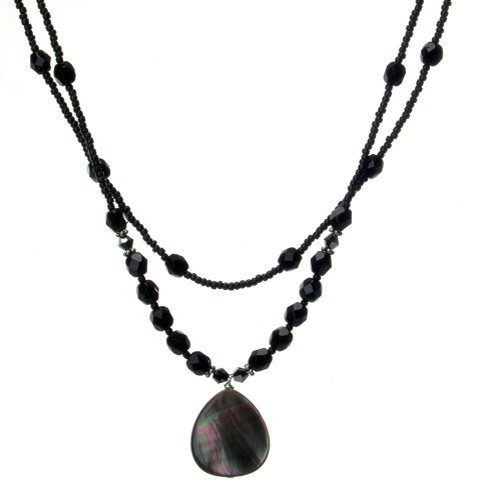 Black, silver and mother-of-pearl beads adorn this beauty. One side of the mother-of-pearl drop is lighter and goes beautifully with a lighter palate such as such as browns, pinks and whites. Turn the necklace like the picture and it can be worn with deeper colors such as blacks and grays!